Chopping waves in a speedboat across the Bay of Kotor, Montenegro. When it comes to travel, I do my research - I learn some basic phrases in the local language, I check if the city I'm travelling to has Uber, I plan an itinerary according to day and area, and I save Google Maps to use offline. Whether or not I actually follow these well-meant plans is another story...trying to get me to stick to a plan is like herding cats. Some would call that flaky, I prefer the word 'flexible'. I did just that with Riga, Rome, Lisbon and quite possibly will do so in Helsinki. 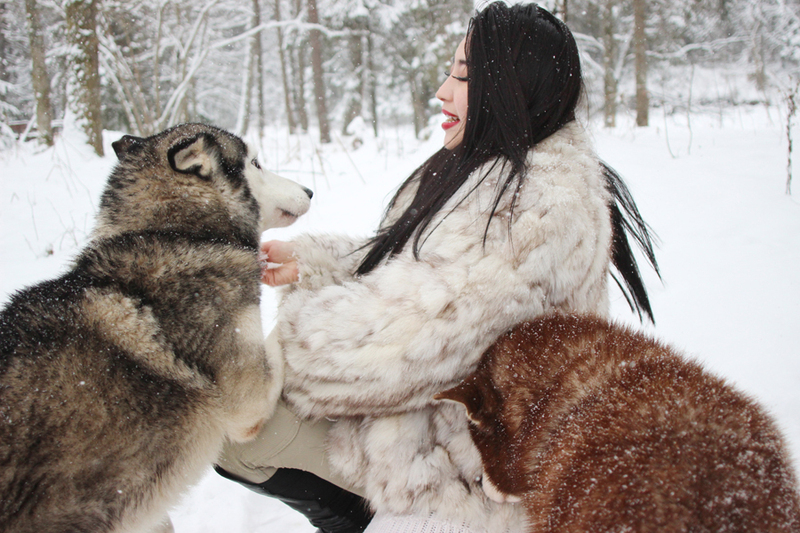 The beauty of being spontaneous is having arms wide open to receive whatever delightful unexpected surprise that could be just around the corner; In Riga, it was dashing through the snow on a 6-dog husky sled. I beat the summer heat in Lisbon by cancelling my city walking tour, instead buggering off to a nudist beach. Luxy planned our entire Cuba trip (Powerpoint presentation and all). Clearly I've enjoyed my discovery that I'll never be a true Type A personality as I've left my Summer trip to Moscow and St. Petersburg in the capable hands of organisers - private tours with translators, and guides? Yes please! 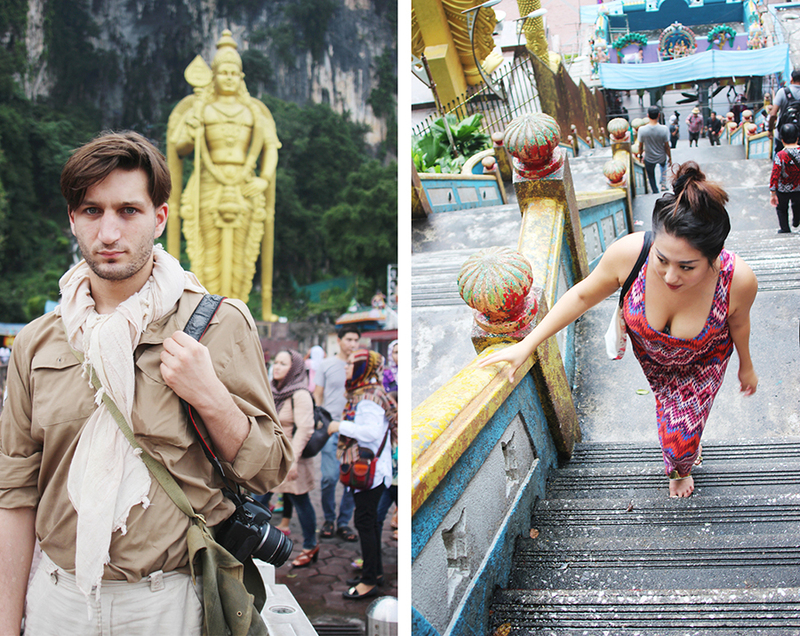 Scaling the 272 steps up to Batu Caves, Malaysia - the limestone cave site of Hindu worship. The perils of travelling solo - who's going to take my 'outfit of the day' photos? I crave, no, I need alone time. For someone so chatty and who loves a good event be it society galas, or a fashion week party, I really treasure and fiercely guard my 'me time'. I fly solo between London to Kuala Lumpur (and vice versa) at least twice a year. The 13-hour solitude is my idea of heaven - all that champagne and endless snacking; catching up on reading and movies, stretching out then curling up for naps. I traveled alone to Montenegro and spent most of Bangkok in February all on my own - it was bliss. Not that I'm a weird, muttering antisocial sort (fine, maybe just a little) - it's just that being able to enjoy one's own company and do whatever you damn well please is such a precious commodity and luxury these days! 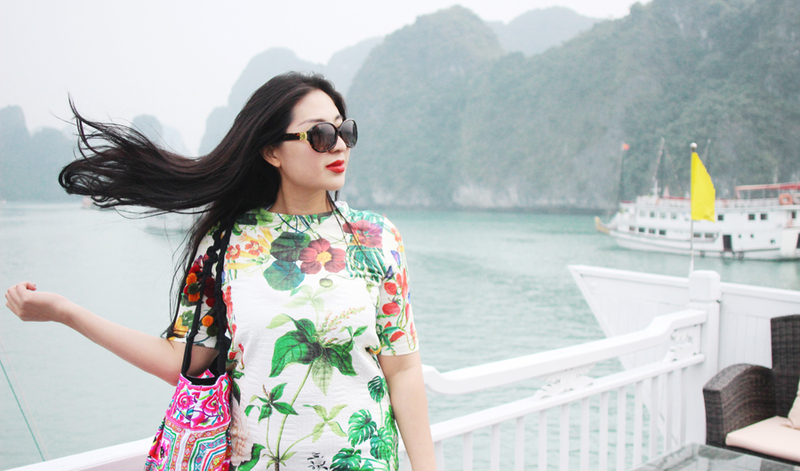 Enjoying the landscape and mysticism of Ha Long Bay, Vietnam. Husky business with the sled dogs in Riga, Latvia. 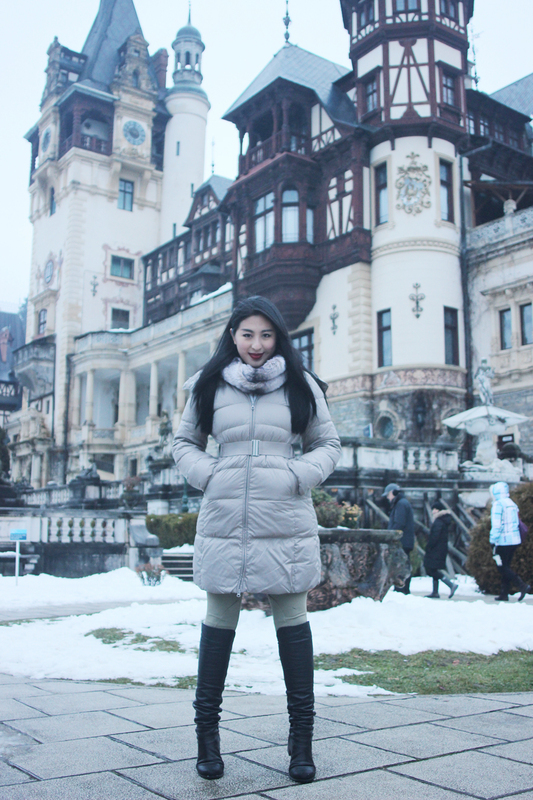 Having a Transylvanian Christmas at Peles Castle, Romania. 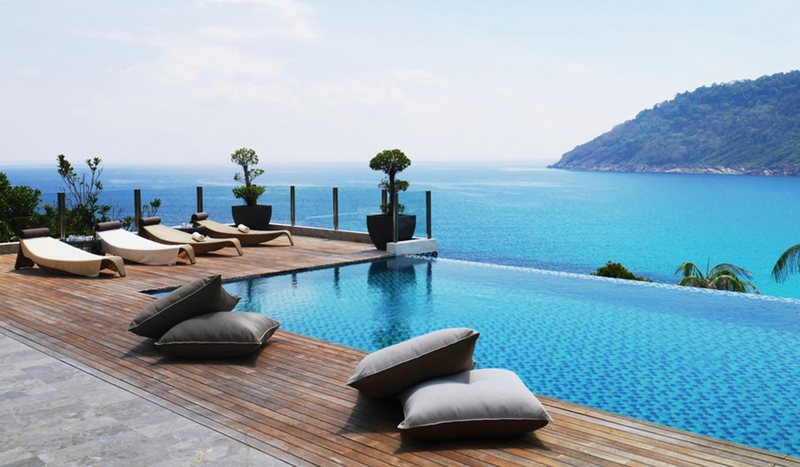 Into the blue at my gorgeous, luxurious villa at The Taaras, Redang Island, Malaysia. Giving (and leaving behind) my heart to Cayo Largo Del Sur, Cuba. I'm a die-hard romantic and idealist - I'll travel across the world because I've fallen in love with an idea. Take my love affair with ancient Peru - my desire to visit Machu Picchu has never been greater now that I've dined at Lima Floral in London, after watching Emperors New Groove, and Horrible Histories jolly music video about fearsome Incan lord Pachacuti 'Do The Pachachuti' (damn tune is stuck in my head: I drink from their skull! Do the Pachacuti! Pull out their teeth whole! Do the Pachacuti!). Ahem. More than just seriously disturbing music, my travel inspiration is born from serious wanderlust - I never feel happier when I'm travelling, and I ironically I feel most 'at home' when I'm away from London - whether it's just back home in Malaysia (with friends in Kuala Lumpur or orangutan-watching in Borneo) or on the other side of the world in Cuba with no internet and phone connection to the rest of the world. *Thank you Luxy for tagging me in this travel linkup and Angie for bringing the personality test to my attention! Ahhh...! I'm so glad you wrote a post too! It's such an interesting way to find out more about someone and I literally would have never guessed that you're an introvert. I'm impressed that you're going to be travelling to a new country every month. I also went to Romania and made sure to see Drac's castle! Yay!! So glad you participated! Love this post, and such a good idea to save maps offline - I always spend SO much money on roaming charges! This post was really inspiring, love reading your personal thoughts on travel. I'm not sure what kind of traveler I am, perhaps the "getaway" kind. lol Great post! "Idealistic Wanderluster " has to be the best kind ever...! Love this! I often travel alone too... apparently this isn't quite as common as I seem to think it is!